I'm needing to add 2 custom fields created called Type of Group (Picklist) and Other Type of Group (Text) to the Web-to-Lead form from our website. I have added the fields to the Lead and Opportunity objects but I'm not positive how to map it from our website to the lead. I cannot seem to find out how to Edit an existing Web-to-Lead. Just create one. Any help would be appreciated. For more details check here..
You need to create those two field in your web form..as soon as lead get created from website, The lead will create along with two new field. So once it is added the the request form, it will automaticlly map to the correct Lead field? How does it know what fields to add it to? Try to create another web to lead form with new fields and give this from to your internal web development team and say that add thiese two fields to exsiting form that they have been using in web site. That solves your concerrn. 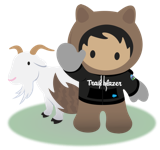 You need to add the field in web to form.then salesforce automatically update the field.